An Israeli soldier, who was suspended after being shown in a video clip cocking his gun and aiming at Palestinian teenagers, has received massive support online, media reported Wednesday. Only hours after a Facebook page was created Tuesday in support of the elite Nahal infantry unit soldier identified only as David, it had clinched almost 60,000 likes. Breaking the Silence, a pacifist group of former Israeli soldiers, denounced that kind of support and said the "situation depicted in the video is far from unusual." A video posted on YouTube shows the young soldier raising his weapon after a verbal exchange with one of the teenagers, cocking it and aiming it at him. He then threatens to put a "bullet in the head" of a third man filming the event unless he stops. Breaking the Silence said "the Nahal soldier's reaction is hardly extreme when compared with the day-to-day conduct of the IDF (Israeli army) in the (Palestinian) occupied territories". Far-right Jewish Home party leader Naftali Bennett posted a statement of support for the soldier on his Facebook page, writing: "He was alone, surrounded by several violent and aggressive Arabs. He didn't shoot and defended himself and his surroundings adequately." Hebron is a major site of tensions as a result of the presence of 500 Jewish settlers and thousands of Israeli soldiers, meaning that local Palestinian residents have to pass through checkpoints in order to move between neighborhoods in the Old City. Some areas, like Shuhada Street, are almost completely shut to Palestinians while open to Jews, and thousands of Palestinians have left as a result of harassment and limitations imposed by Israeli authorities. 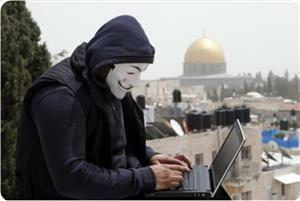 Anonymous hackers started overnight to launch a spate of concentrated cyberattacks that targeted several Israeli websites. The Israeli media said that seven important websites either disappeared from cyberspace or sustained defacement after their exposure to cyberattacks. Some of the websites belong to the Israeli navy, the Israel meteorological service and the Israeli war ministry. 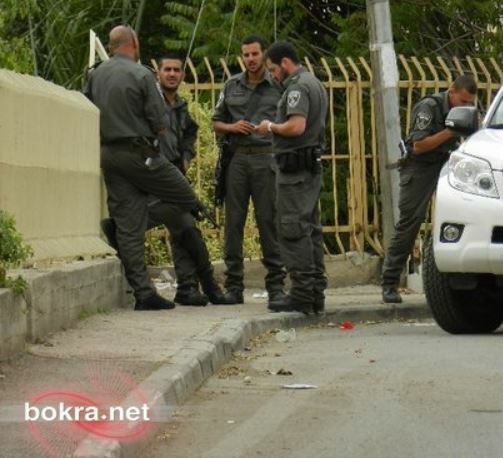 Jihadist songs against the occupation and Palestinian photos were placed on the sabotaged websites. The hacktivists, who are believed to be mostly from occupied Palestine, intend to continue attacking today other Israeli websites and pages. The international hacking group Anonymous and other group of hackers, attacked last night hundreds of Israeli occupation websites. 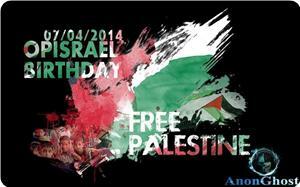 They declared Monday a day of cyber attacks on Israel, calling the event 'OpIsrael '. About seven Israeli websites were brought down in the first hours of the electronic attack including a sensitive website of the occupation’s naval forces, weather websites and the website of the Israeli military ministry, they demonstrated. 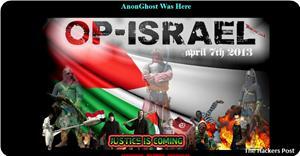 Hackers also broke into Haaretz Daily Newspaper website for a short time. They also could disable the website of the Civil Aviation Authority of Israel. Israeli sources said that the hackers targeted the military and security websites. 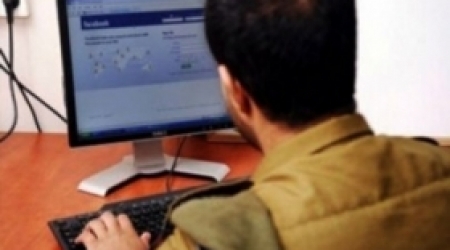 The security apparatus of the Israeli occupation issued Friday instructions to all ministries warning of opening the foreign e-mails until next Thursday to frustrate any cyber-attack. The Israeli government has declared a state of alert all over occupied Palestine in anticipation of any cyberattacks to be launched by a group of hacktivists calling themselves "Anonymous Ghost" or "Anon-Goast." Israel's channel 1 said that all government sectors had been instructed not to open emails coming from outside Israel, while the Israeli security agencies created special units to address hacking and virus attacks on the Internet and retaliate to them. Some of Israeli government websites' international traffic has been temporarily suspended to repel potential mass cyberattacks by pro-Palestinian hackers. This precautionary measure would be in place from Friday through Monday, and include refusal of electronic payment from abroad for government services. The pro-Palestinian hackers intend to attack tomorrow, Monday, financial organizations such as banks and credit card companies, as well as government entities, personal social pages and emails. A group of hackers last years attacked several Israeli websites and disclosed personal information and databases in solidarity with the Palestinian people. One of the Israelis wrote: “this opportunity is not available everyday. Too many terrorists are gathered in one place. They should be attacked with rockets to get rid of this dilemma”. 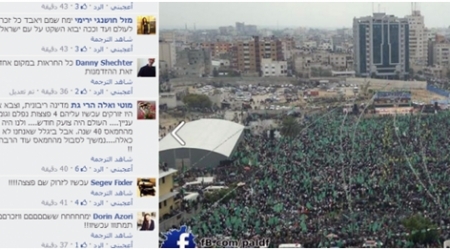 One wished an explosion would took place among the rally and kill the most number of Hamas members. An Israeli called Moti Gate commented: “if we had a sovereign state, it woulddropfour napalm bombs and that’s it." While "Rafael Tayyeb wrote: "This is the time to eliminate this virus because this opportunity will not be repeated every day.” Another wished one of those crazy pilots would fly and drop a number of rockets on the mass and that’s how the story ends, he said. Hundreds of thousands of Palestinians attended a festival organized by Hamas marking 10 year anniversary of the death of Hamas leaders Sheikh Ahmed Yassin, Abdulaziz al-Rantisi and Ibrahim Almaqadma who were assassinated by Israel. Hamas considered the mass as a referendum on the choice of resistance. 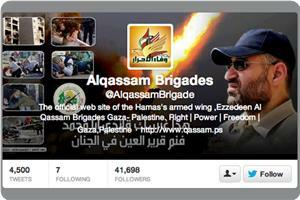 Number of tweets that activists wrote via social networks during Hamas’s rally of yesterday reached 4286 tweets. According to statistics published by activist and blogger Khaled Safi, the most popular words that were mentioned are: Gaza, Haniyeh, Hamas, loyalty_steadfastness. The stats indicatedthat the total impression and access to Hashtaq # مهرجان_حماس in the world reached 21.6 million followers on Facebook and Twitter. 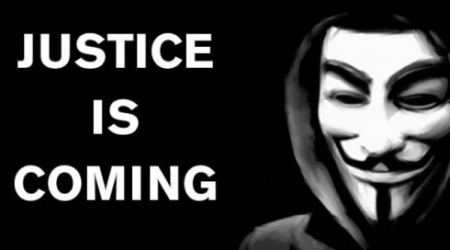 Video - "Anonymous" sets next April 7th for the attack on "Israel"
We published this story yesterday in Kate’s list, but it is important to break it out and hope that Americans read it. 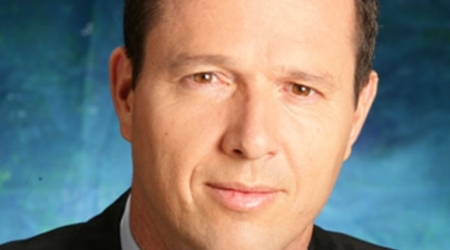 A Palestinian photojournalist is arrested for describing Jerusalem Mayor Nir Barkat, as mayor of occupied Jerusalem on his facebook page after Barkat appeared in occupied East Jerusalem. Interrogators described the statement as a form of “incitement.” But countries all around the world refuse to recognize Israel’s occupation of Jerusalem, which was supposed to be internationalized under UN plans. The Israeli Police in occupied Jerusalem kidnapped a Palestinian photojournalist, identified as Mohammad Abed-Rabbo, over a Facebook post and picture he shared. Abed Rabbo was moved to the al-Maskobiyya interrogation facility, west of Jerusalem, and was interrogated for more than one hour. 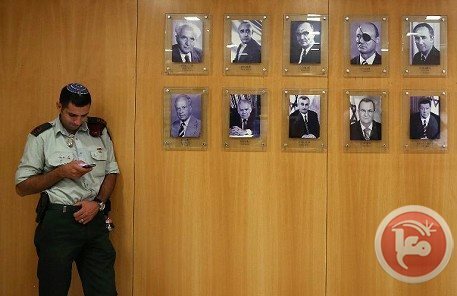 The interrogators told him he was under interrogation for publishing a picture of Jerusalem City Council Head, Nir Barkat, describing him as the “mayor of occupied Jerusalem”. Abed-Rabbo told the Panet Agency that the interrogators described what he wrote as “incitement”. His Facebook post came when he was commenting on a visit by Barkat to Sur Baher Palestinian town, in occupied Jerusalem, during the opening ceremony of a public center. He said that his arrest and interrogation are part of Israel’s ongoing violations against Palestinian journalists and different Palestinian media outlets in occupied Palestine, including the occupied Palestinian city of Jerusalem. Wael Mansour, the actor behind the voiceover for the Arabic version of Donald Duck, was fired by Walt Disney for an anti-Israel tweet. A tweet critical of Israel and Zionists has cost an Egyptian voice actor his job with entertainment giant Walt Disney. "They sacked me after US newspapers accused me of anti-Semitism," Wael Mansour told Anadolu Agency on Monday. 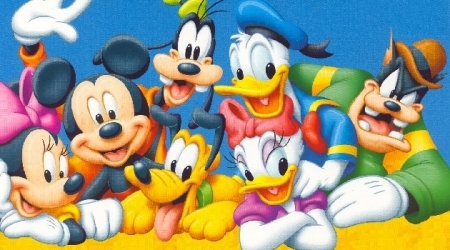 Since 2006, Mansour had worked with Walt Disney to perform the voice of the Arabic version of the funny animal cartoon character Donald Duck. But his job came to a halt when he tweeted statements hostile to Israel and its occupation of Arab lands last August. "At that time, a foreign journalist e-mailed me to ask about the tweet," Mansour recalled. "I thought the issue was over, when my agent told me that the tweet had caused a massive anger." One month later, the Egyptian actor got a phone call from his agent in Paris, who told him that the granddaughter of Walt Disney founder was infuriated by his tweet. "He told me that we should sit together to discuss some issues, but declined to elaborate until we meet," Mansour recalled. By December, Mansour learned that the California-based company had decided to fire over the Twitter comment. "I have never felt any regret for the comment, which was shared by more than 9,000 people," Mansour said. "If I go back on time, I will write the tweet again because I'm free to express my own opinion." AA could not get immediate comments from officials at the Walt Disney Company. Donald's voice, one of the most identifiable voices in all of animation, was performed in English by voice actor Clarence Nash up to his death in 1985. It was largely this semi-intelligible speech, that would cement Donald's image into audiences' minds and help fuel both Donald's and Nash's rise to stardom. Since 1985, Donald has been voiced by Tony Anselmo. Ministry of Social Affairs warned on Monday Gazan families benefiting from its programs and have files with in its departments not to answer calls from anonymous numbers and not to cooperate with anybody claiming to be a social worker from the ministry as long as he or she doesn't identify themselves clearly. The warning came after citizens informed the Interior Ministry that they received calls from unknown numbers who claimed that they were researchers from the Social Affairs Ministry. The Interior Ministry in Gaza made clear that the Israeli intelligence service contacted them and exploited the social worker job as a new way to collect information about citizens. Hackers attacked Israeli computers including one used by the defense ministry department dealing with civilians in the occupied West Bank, an Israeli data protection expert said on Monday. "At the beginning of this month a number of mails were sent to a number of companies in Israel, including security organizations," Aviv Raff, chief technology officer at Israeli cyber security firm Seculert told army radio. "There was an attachment... and whoever opened it was infected with a virus, a Trojan Horse, which allowed the attackers to control those computers. One of the computers belonged to the Civil Administration," he said in reference to the defense ministry department, which is staffed by the military. Asked to comment on the report, the military said in a written statement to AFP: "The reports of the incident are currently being looked into." Raff did not identify the source of the attack but the radio said it was "apparently from Gaza" and added that 15 Israeli computers were targeted. It said that only the Civil Administration's public network was affected and that no classified communications were compromised. Raff said that the virus allowed the attacker "complete control of the infected computers. The attackers could carry out any operation within that network." "The moment that we detected it we cancelled the hackers' control and notified the relevant authorities," he added. Israeli politicians and security officials often warn of the dangers of hacking and say they have thwarted numerous attempted attacks. 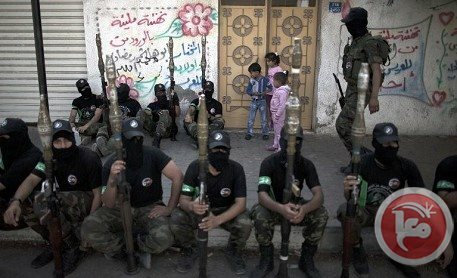 A Twitter account of Hamas' armed wing has been suspended by administrators, the Islamist movement said Thursday, accusing the social media site of censorship. The account of the Ezzedine al-Qassam Brigades, @AlqassamBrigade, appeared to have been suspended several times over the past week, and was still inaccessible with a "suspended" notice on Thursday. A spokesman for the armed wing of Hamas, which governs the Gaza Strip, accused Twitter of suppressing freedom of speech and of pandering to the political agenda of Hamas's sworn enemy Israel. "This is proof of the moral bankruptcy of the (Israeli) occupation in fighting any vocal resistance to it, and is an attempt to wipe out the truth and hide the crimes of the Zionist occupation against Palestinian civilians," spokesman Abu Obaida wrote to AFP. "Twitter's administration are exercising double standards. They're giving credibility to the Zionist (Israeli) army, allowing it to practise its terrorism against the innocent and use its Twitter account to wage threats. "But they're censoring the Qassam Brigades account, which exposes the hostilities of the terrorist Zionist army and shows the truth. "This is a clear violation of Twitter's rules and regulations," he said. A Twitter spokesperson refused to comment, telling AFP: "We do not comment on individual accounts, for privacy and security reasons." During the last full-scale conflict between Israel and Hamas in the Gaza Strip, the Qassam Brigades and Israel's army engaged in a heated propaganda war on Twitter. The Qassam Brigades also operate an Arabic-language account @Qassam_Arabic, and the Hebrew-language @qassamhebrew, both of which were working on Thursday. Al-Qassam Brigades, the armed wing of Hamas, said that the administration of the Twitter social networking service had closed without prior notice its increasingly popular English page. Al-Qassam website quoted the supervisor of the removed page as saying that the Twitter administration closed on Thursday Al-Qassam Brigades page after it had complied with pressures made by "Zionist and Christian groups". He said that this arbitrary step by Twitter came after the huge success which Al-Qassam Brigades had achieved in its virtual warfare against the Israeli occupation regime. He described the policy pursued by Twitter as non-professional, noting that Twitter was supposed to remove the page of the criminal Israeli army due to the terrorism it exercises everyday against the occupied Palestinian people. 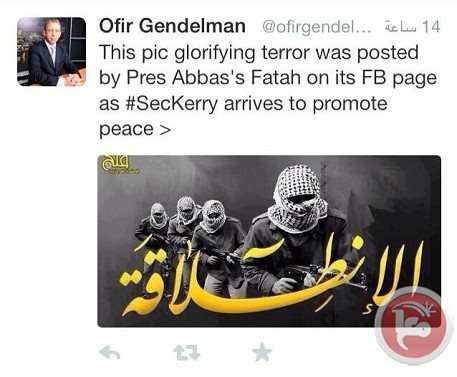 The statement came in response to Ofer Gendelman's criticism of the Fatah movement for posting a profile photo on its Facebook page which boasts armed fighters with keffiyehs covering their faces. “If you accept the two-state solution, then take your settlers and troops out of our land so we can live in peace,” the Fatah statement added. The Fatah statement added that “the Israelis glory themselves of their gangs which committed massacres against the Palestinians in Deir Yassin and Qibyeh which, they claimed, was part of a liberation war, and later in Sabra, Shatila, Jenin, Nablus and Gaza. When Fatah since 1968 chose to have a civil democratic state for Muslims, Christians and Jews, it was faced with “racist, chauvinistic ideas and opposition by the right wing in Israel,” the statement added.